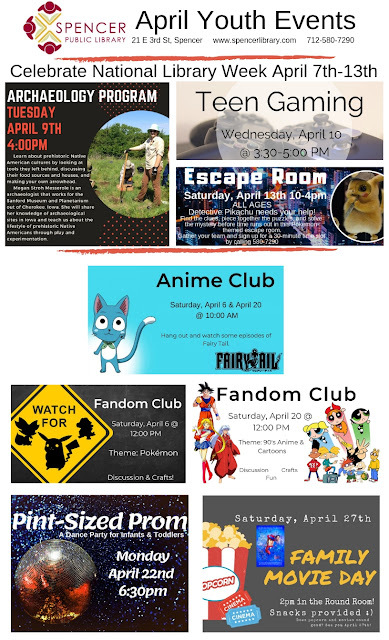 Attached you will find a newsletter of events for kids and teens happening at the library this April. We'll be celebrating National Library Week April 7th through the 13th. During that week, join us for free popcorn, contests, an archaeology program, teen gaming, a murder mystery party for adults, and an escape room for all ages! Stop in and let us know why you Love Your Library!